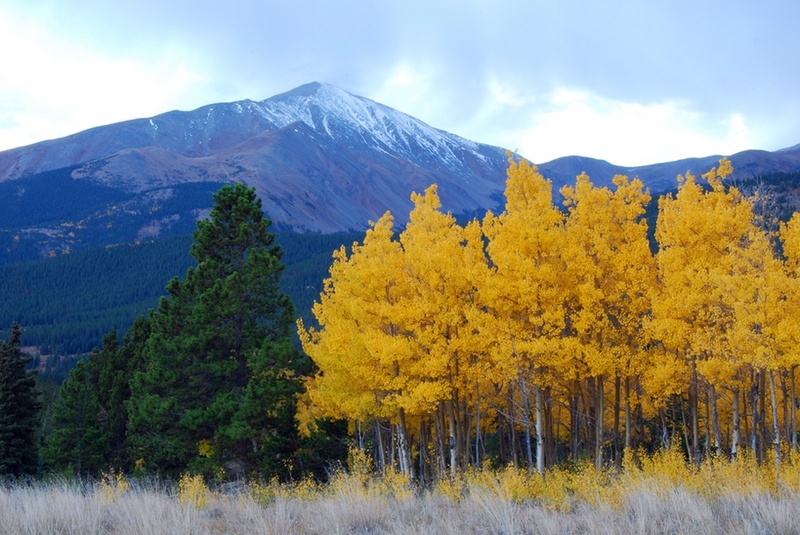 Mount Silverheels is just east of two 14ers: Mount Bross and Mount Lincoln. Named for Silverheels, a dance hall girl in the nearby mining camp of Buckskin Joe. She was nicknamed "Silverheels" because of the silver shoes she wore in the dance halls. Legend has it that in 1861 a smallpox epidemic hit the small camp. Most of the miners stayed for fear of claim jumpers. Most of the women and children fled to Denver, but Silverheels stayed. She nursed her friends and neighbors through the disease. Soon, she caught the disease and managed to struggle through. But the small pox scarred her beautiful face and she ran into her cabin located at the base of Mount Silverheels. Once the epidemic was over, the miners that survived raised money for her as thanks. They soon had raised $5,000. Upon taking it to her cabin, the miners discovered that she was no longer there. Her cabin appeared deserted. Many believed that she had hidden because the smallpox had left her so scarred. The money was returned to the miners, but many still wanted to show thanks, so the nearby mountain was named after her. Several years later when Buckskin Joe was run down and the gold rush over, someone claimed to have seen a black veiled woman placing flowers on the graves of those who died in the 1861 smallpox epidemic. Even today, people claim to see a black veiled woman wandering around Buckskin Joe cemetery.